Everyone who uses a computer will eventually experience data loss. 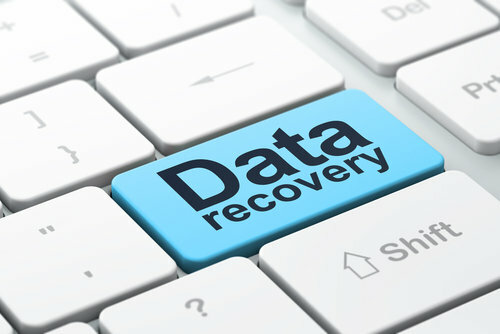 Hard drives can fail unexpectedly and equipment is never completely safe against theft and natural disasters. Even a minor power loss can threaten data integrity, which is why smart users have some kind of backup system in order. There are several kinds of backup devices available that vary in terms of cost and storage space. Tape backup systems, which have been used reliably for decades, are generally not preferred for home users because they are too expensive. Data centers still use these devices, however, because the drives are swappable and have high capacities. Home users like to use external hard drives for backup, but these are not a good choice for very precious files because they can fail just as easily as the main hard drive. Flash drives, which are a relatively recent type of storage, are a better choice because they are less vulnerable to damage. However, they are about nine times more expensive per gigabyte of data and the life spans of these drives are still uncertain. Optical disc storage through the use of archival CDs represents an excellent overall choice for home users. While the storage capacity of optical media is lower than that of hard drives, they are built to last. A typical archival CD contains an added layer of gold to prevent the silver reflective side from oxidizing, and will use an organic dye that with a much longer shelf life than standard CD dyes. The archival Verbatim CD-R, for example, is expected to last 100 years due its gold layer of protection and a metal azo dye that is more chemically stable. Since archival CDs are more difficult to produce and require expensive materials, they are pricier than standard CDs. For example, a 100 pack of standard Verbatim CD-R discs is about an eighth of the cost of Verbatim’s archival series, which is why consumers often wonder if archival discs are worth the price, especially when a USB flash drive can be purchased for a much lower cost. Since USB flash drives and other solid-state drives are both cheap and portable, many consumers are wondering if they should use them instead of archival CDs. While flash drives might be cheaper, there is always a risk of data corruption when they are plugged into a USB port, and the overall lifespan of these devices is still unknown. Also, flash drives tend to get easily lost due to their small size, while CDs are more conspicuous. When properly stored, archival CDs will last for a very long time, and though changes in media storage inevitably occur the optical disc is not going away anytime soon. In fact, General Electric is currently working a holographic disc that can store data on more than just the surface, enabling it to reach as much as one terabyte of storage capacity. Archival CDs are still an excellent way to store data, as they have the best balance between price, durability and shelf life, making them a worthy addition to any user’s data backup plan.